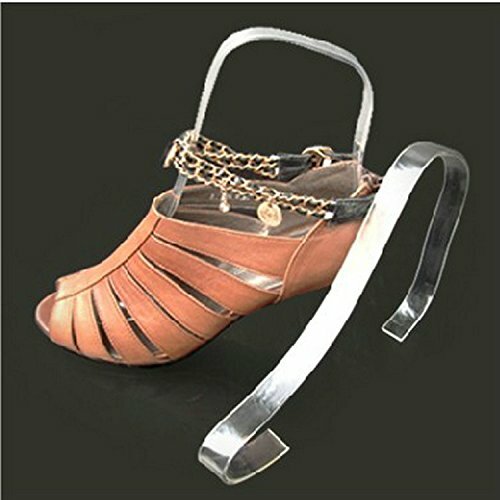 Insert this shoe form into your shoes to easily display elegant shoes such as high heel footwear. 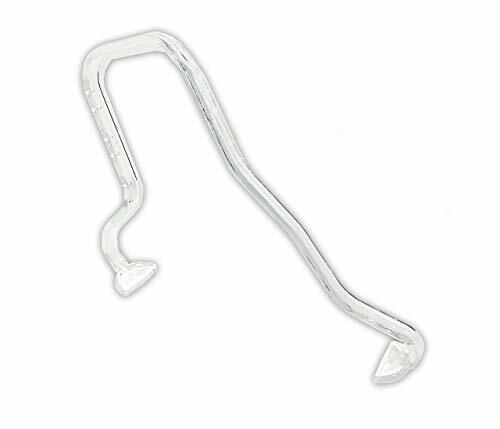 This shoe form is made out of durable acrylic plastic and comes in a clear finish. This display is perfect for shoe stores looking for a simple and effective way to display footwear. Each shoe form measures 10.75 L x 7.25 H.
This listing is for 4 shoe forms. Angled for better view Finish: Silver Frost . 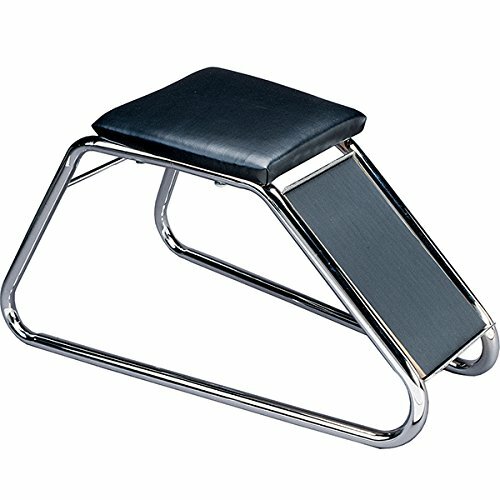 Shoe fitting stool - chrome. Cushioned Seat for comfortable shoe try on. 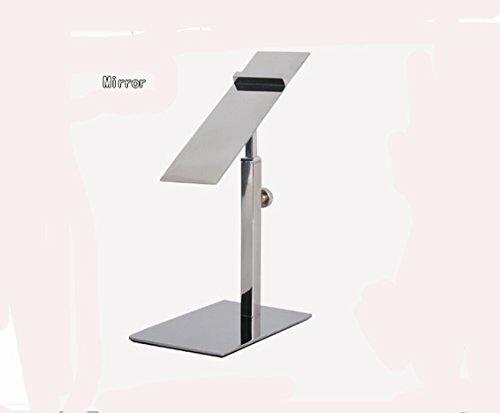 Heavy duty steel, chrome frame. 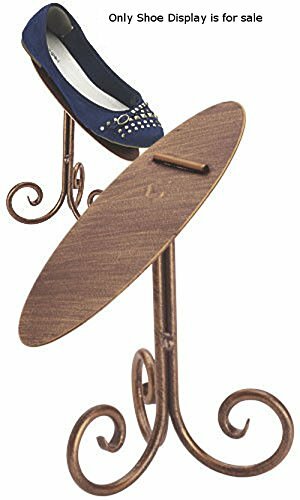 This set of 3 slanted shoe risers lets you create unique and professional displays and includes small (4"W x 5"H), medium (4"W x 7"H), and large (4'W x 9"H) risers. 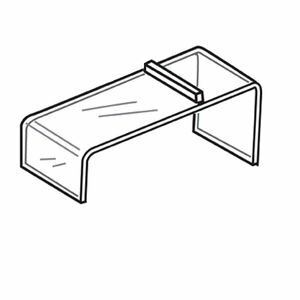 The heel stop keeps the shoes in place while the slanted design offers customers the best view of your product. 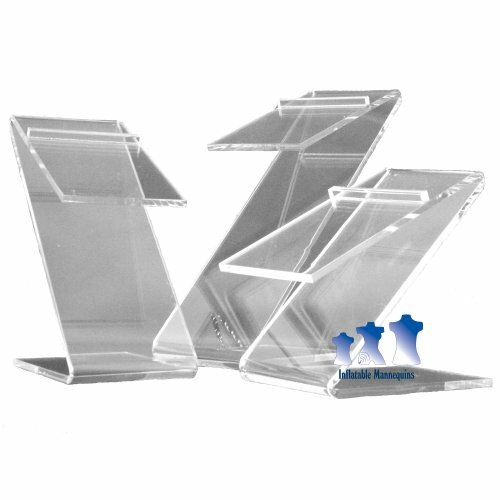 Made of durable clear acrylic, these risers can be conveniently used at home, in shops, or at trade shows. 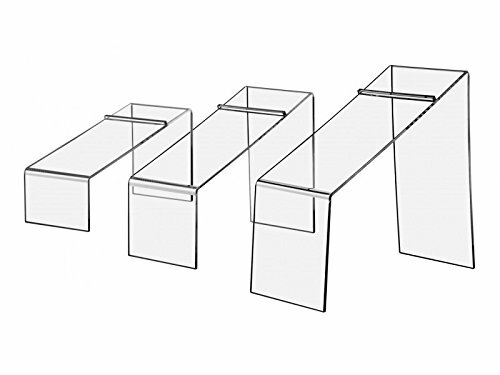 This is set four (4) 4 inch deep by 10 inch long Clear Slatwall Shelves. 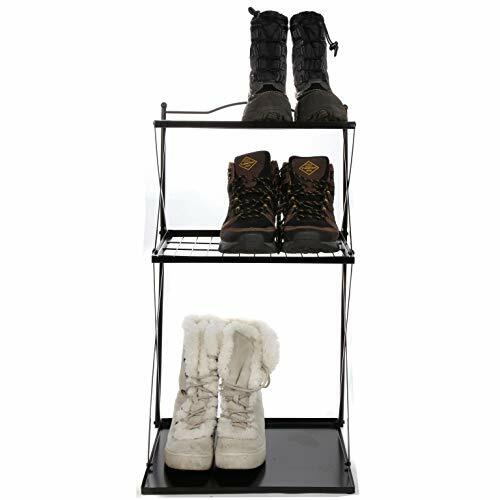 This item is great for displaying shoes, boots and any light weight items. They are crystal clear and injection molded. This item can be used to enhance your retail offerings or display items in any environment where slawall panels are utilized. This listing is for 6 shoe forms. Boot Tray organizes and keeps all your winter outerwear and footwear in one convenient location. Three-tier organizer stores boots, gloves, hats and scarves. Keeps everything neat and within easy reach; collects melted ice and snow. 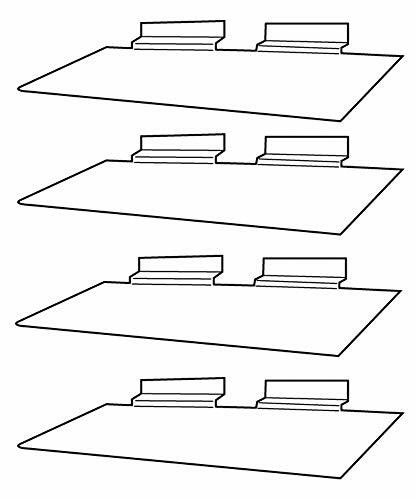 Bottom shelf: 14-3/4" W x 12-7/8" D; middle shelf: 14-3/4" W x 11-1/4" D; top shelf: 14" W x 9-3/4" D. Stands 27-1/2" overall. Bottom shelf: 14-3/4 W x 12-7/8 D; middle shelf: 14-3/4 W x 11-1/4 D; top shelf: 14 W x 9-3/4 D. Stands 27-1/2 overall. Used for displaying sandals and strappy shoes. The plastic shoe form supports wrap up and espadrille style sandals. This insert is 7 1/2 inch (H). The plastic shoe form fits women's sizes 6-7 and is available in three heights. 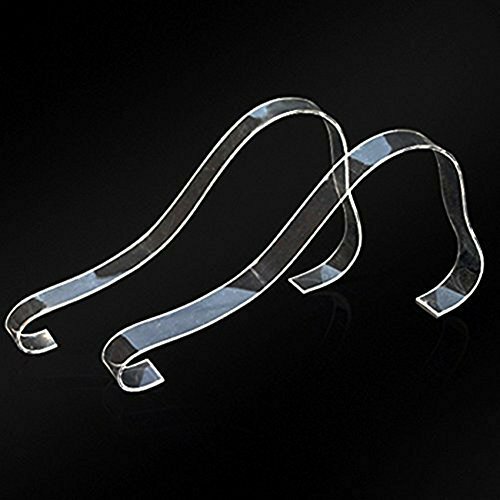 This footwear stand protects laces from getting tangled and provides a neat appearance which helps you and provides the customer with a better shopping experience. The plastic shoe form qualifies for a quantity discount when 12 are purchased at one time. This shoe box pole is 70 1/2 (L) making it simple to reach high stockroom shelves. The retriever has a 4 x 4 (L x W) plate that is perfect for women's sizes. This shoe box pole slides easily underneath the lid and bottom. The extender has a comfort grip. 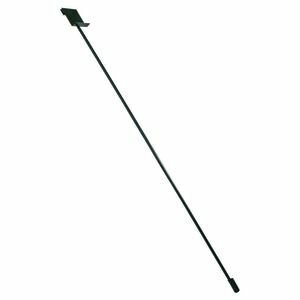 This shoe box pole is also available in a larger size for men's footwear. 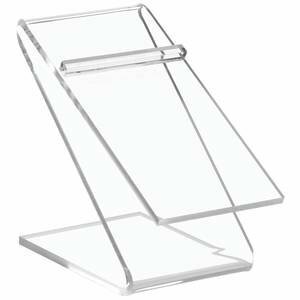 Acrylic shoe stands are an excellent display method. They are lightweight, very durable, and stylishly display all kinds of shoes. This listing is for 2 shoe forms. This shoe display riser is 3 x 5 (W x H). 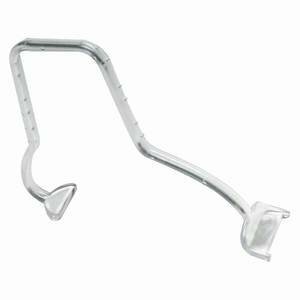 The clear Z bend acrylic provides a complete view of the footwear for customers. This shoe display riser is slanted and has a no slip heel stop. 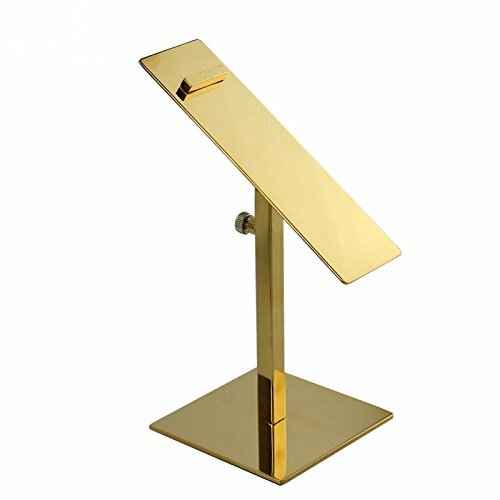 The stand comes in several different heights and can be purchased from Retail Resource in a set of three. 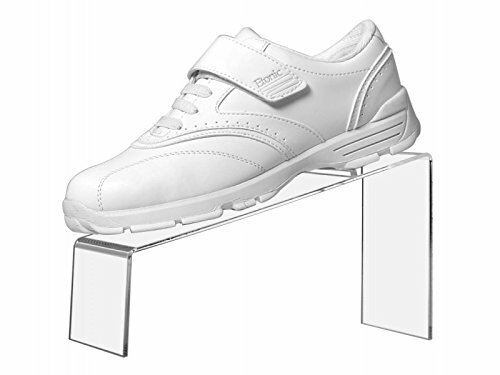 This shoe display riser comes with a satisfaction guarantee.